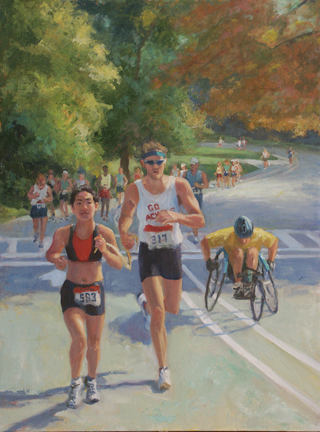 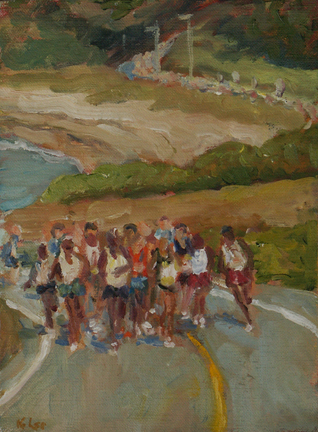 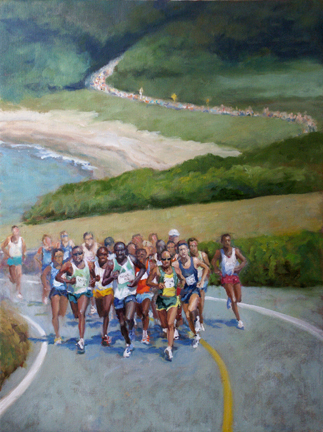 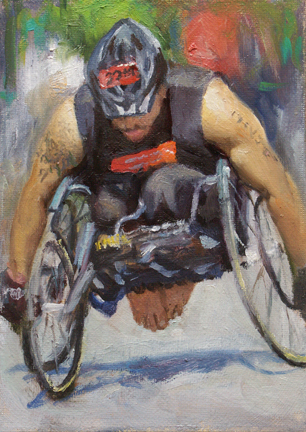 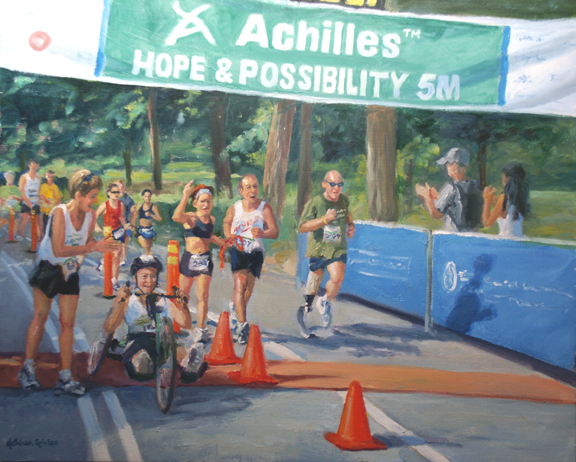 Falmouth Road Race, oil 24"x18"
Leading at Mile One, oil 14"x14" One of 25 works juried into the exhibit, The Athlete and the Artist, at the National Art Museum of Sport, Indianapolis, IN. 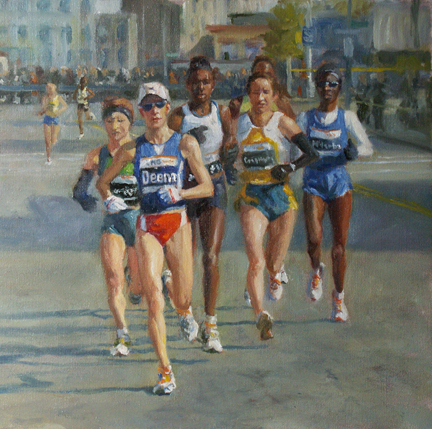 Deena in the Lead, oil 14"x14"
Study for Falmouth Road Race, oil 8"x6"
Every image on this website is the property of Kathleen Erin Lee and protected under United States and International copyright laws. 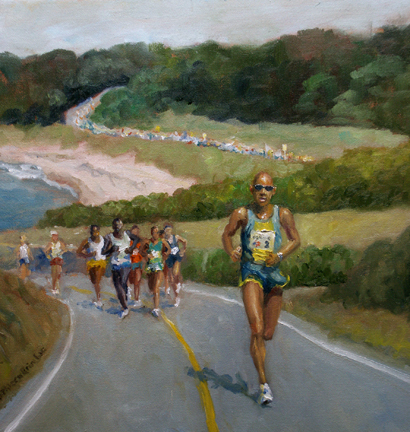 No images may be reproduced, downloaded or manipulated without the written permission of the artist.